The Sakleshpur day adventure camp gives you the perfect excuse to escape from the city life and spend a day at a beautiful campsite. Apart from relaxing with nature-rich views of meadows and farmlands, you'll engage in exciting adventure activities at the campsite. 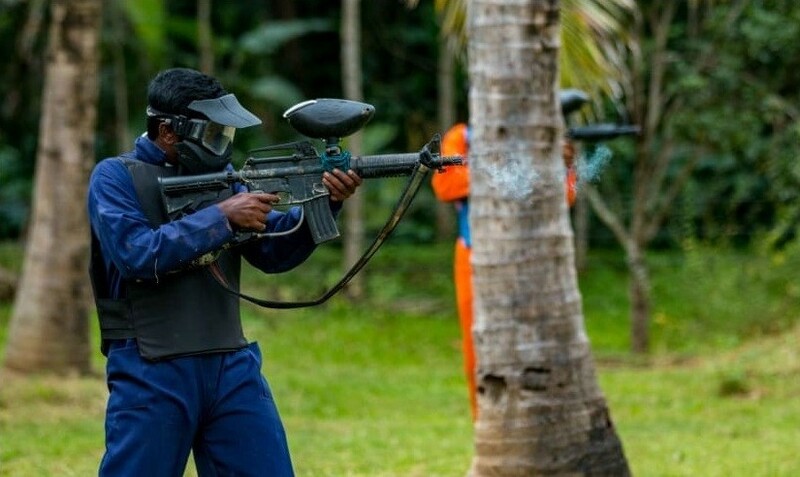 You can participate in paintball, riffle and pistol shooting, archery, sumo wrestling and rope course activities like zip-lining, commando net and more. Alternatively, you can also simply take a stroll to explore the serene campsite to rest, relax and get closer to nature. 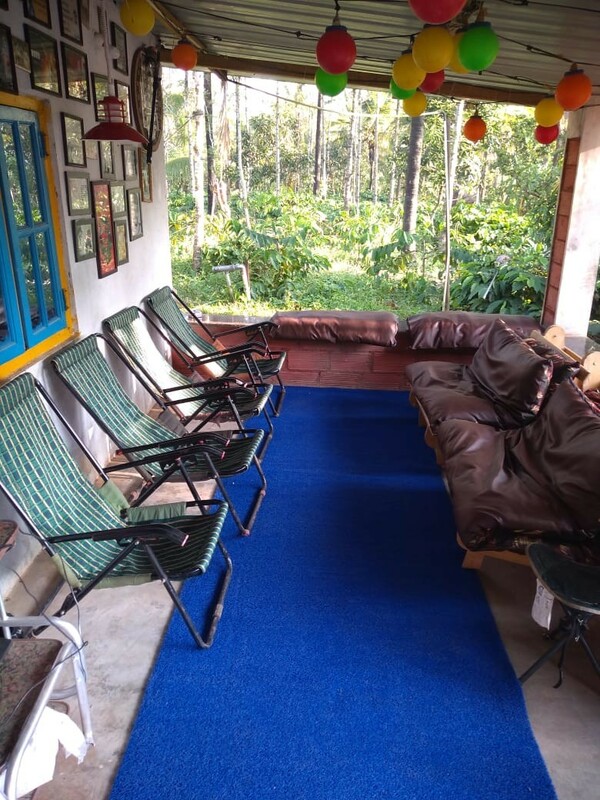 Your campsite, located 20-min drive from the village of Sakleshpur, is surrounded by hills with plantations of coffee, pepper and cardamom. The campsite is also a few minutes of walking away from the monsoon-fed Hemavathi River. 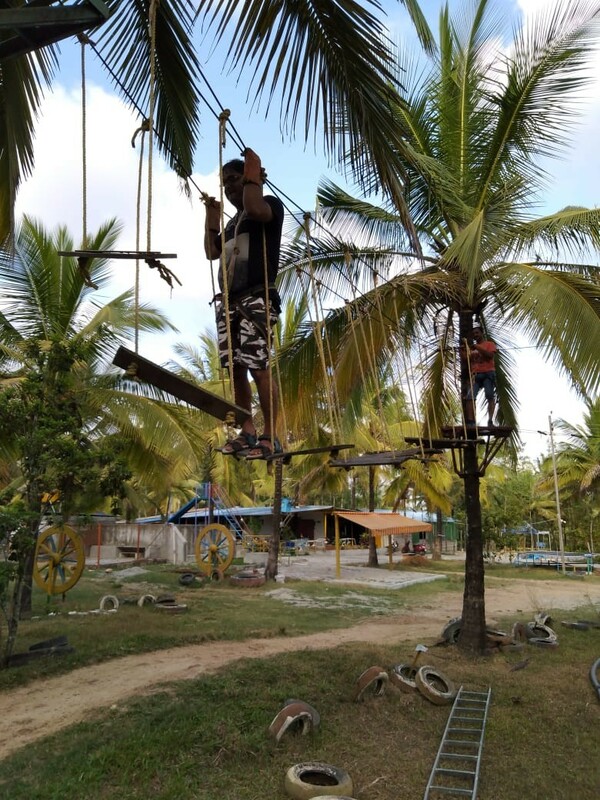 The temperate climate ensures a pleasant weather all year round, but the rainy season's sub-tropical winds bring an overgrowth of greenery all over the campsite. 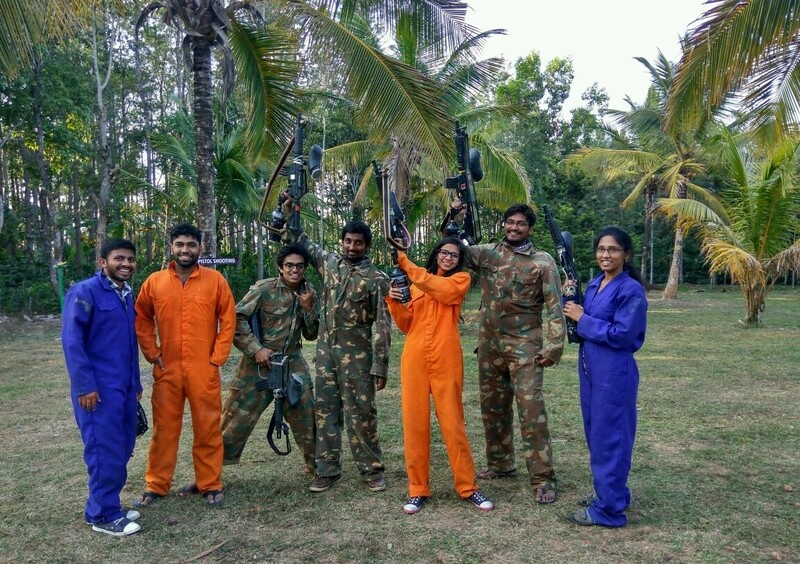 • Participate in adventure activities like paintball, riffle shooting and more. • Escape from the city life and retreat into dewy forests near of Sakleshpur. • Go on a day adventure trip to a beautiful campsite. 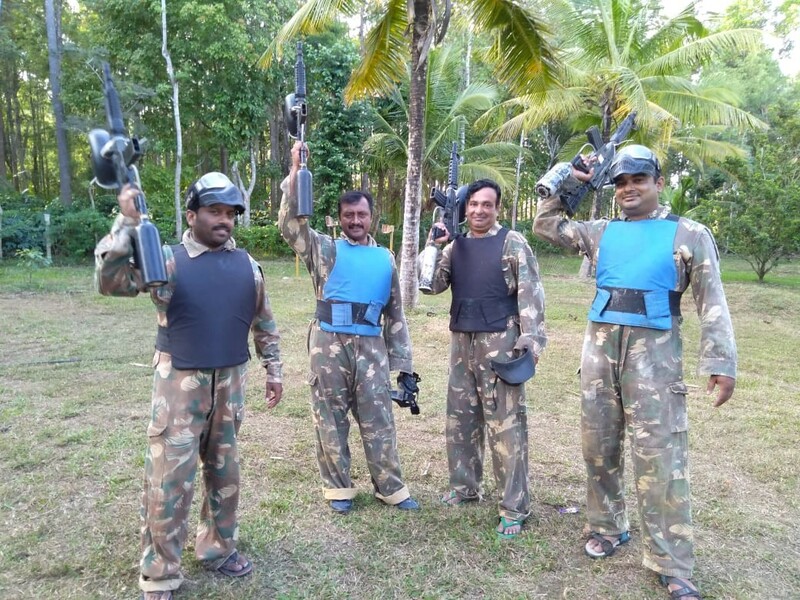 A basic level of health and fitness is required to book this Sakleshpur day adventure camp. Travellers blood pressure problems, heart ailments, spinal problems, respiratory disorders like asthma or any other medical issues are advised to consult with their personal physicians before booking this trip. Travellers are required to adhere to instructions of the adventure guides while undertaking any adventure activity. 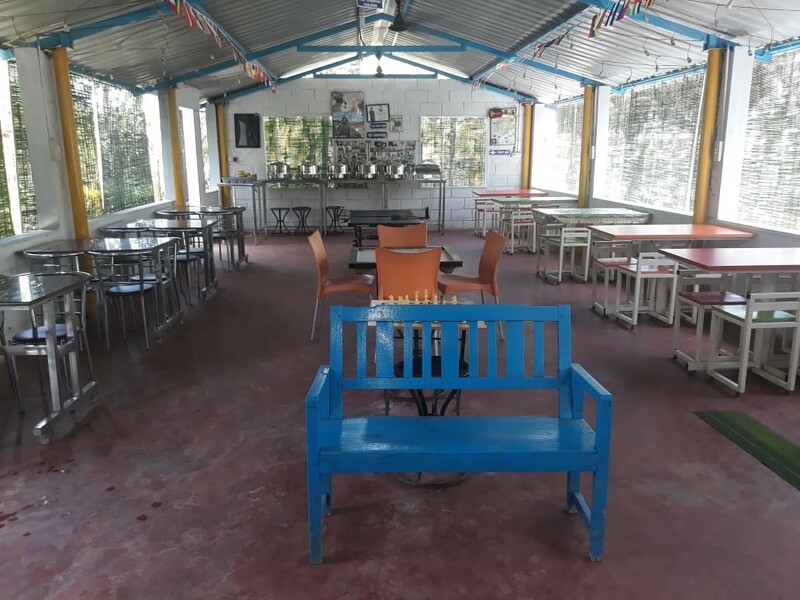 Consumption of alcohol, drugs and tobacco products like cigarettes is strictly prohibited during the Sakleshpur day adventure camp. For cancellations made more than 2 days before your scheduled Sakleshpur day adventure camp: 100% refund. For cancellations made 2 days or less before your scheduled Sakleshpur day adventure camp: no refund. Check-in time is after 10:30 hrs and check-out time is before 18:30 hrs. Bookings for children younger than 5 years are not charged. Bookings for children between the ages of 5-13 years are charged at INR 800 per person. Bookings for children older than 13 years are charged at full price. The tour operator takes utmost care to ensure safety of the travellers and shall not be held responsible for any mishap or accident while during the Sakleshpur day adventure camp. 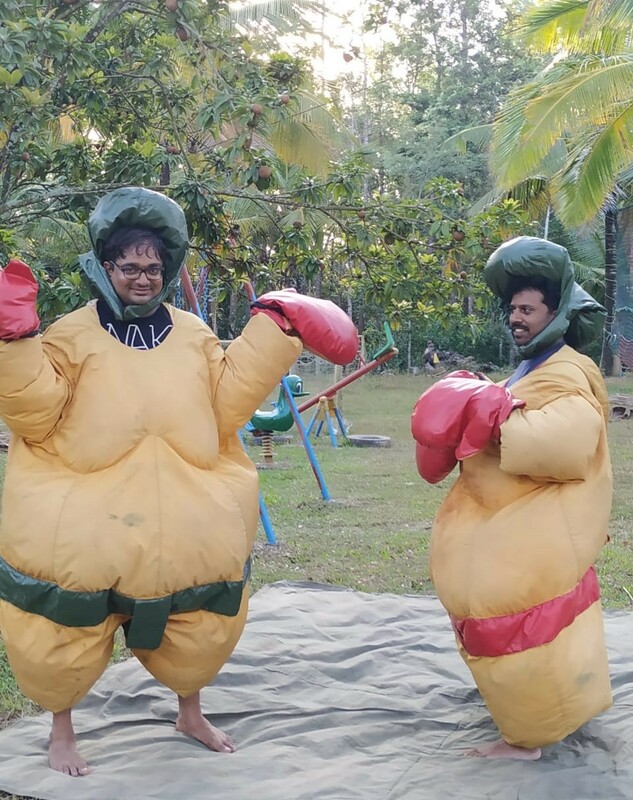 There is no pick-up for this Sakleshpur day adventure camp. There is no drop-off for this Sakleshpur day adventure camp. Arrive and check-in at the campsite any time after 10:30 hrs. You can spend the rest of the day at leisure. 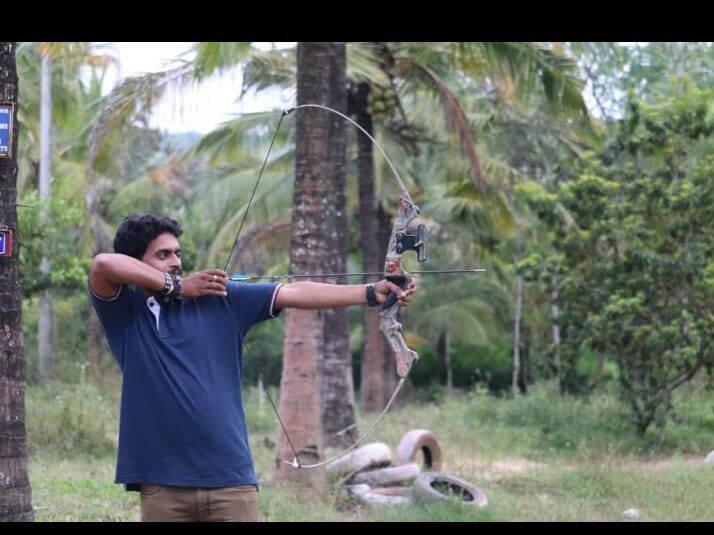 Take a walk to explore the campsite and participate in any of the adventure activities on offer like paintball, riffle and pistol shooting, archery, sumo wrestling and rope course activities. You can also participate in outdoor games like mud volleyball, net cricket and badminton. You'll take breaks to have lunch and evening snacks. You'll check-out of the campsite by 18:30 hrs. Your trip ends here. 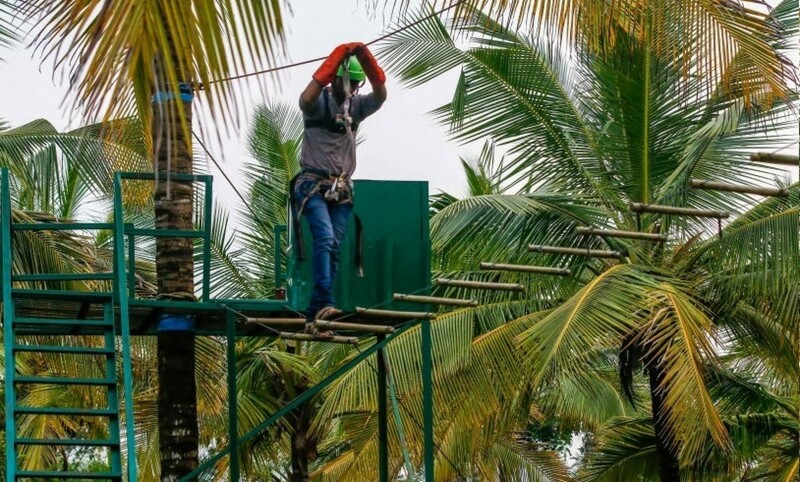 All equipment for adventure activities: harness, helmet, fixed ropes etc. Personal expenses such as apparel or gear, additional meals or beverages etc. Arrive at the campsite by 10:30 hrs. 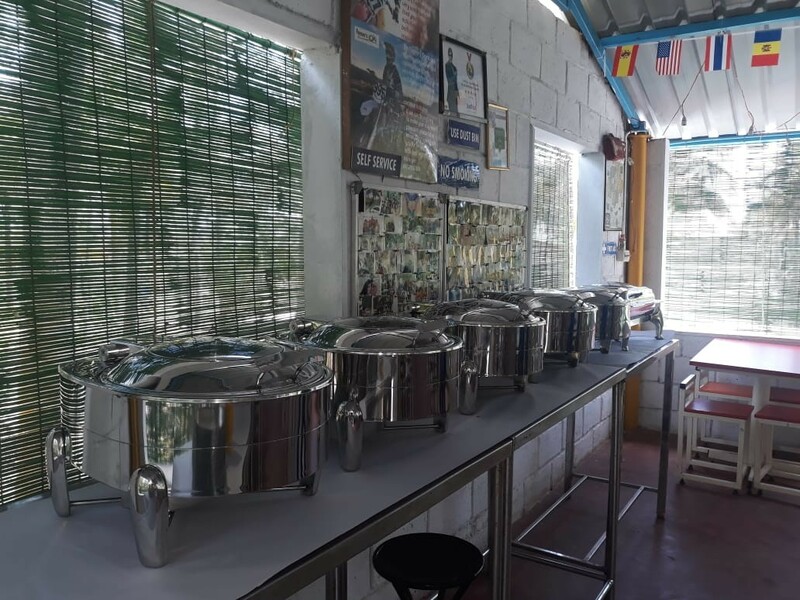 Today's meal package includes lunch and evening snacks. You'll also be served a welcome drink on arrival. You'll check-out of the campsite by 18:30 hrs. The campsite is well-connected to most major cities via road. 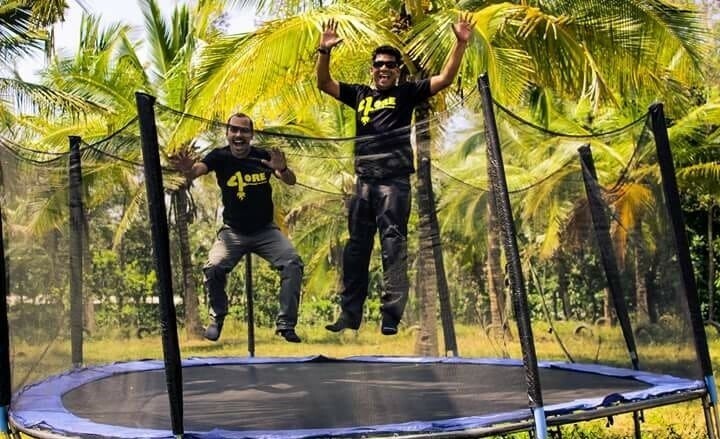 You can hire a private cab or taxi and travel to the campsite, located 150-km/4-hr drive from Mangalore, 140-km/3-hr drive from Mysore and 200-km/3-hr drive from Bangalore.